I’ve decided to add a new feature to my blog… On the Cutting Board. I want to show what I am working on personally, whether quilt blocks, clothes, placemats, or whatever strikes my fancy next. I plan on doing it at the mid-month mark because it is a good mark on the wall. I don’t want to repeat material in case you follow my personal blog, so this will be a summary with links to other blog posts that have more details. Here is the inaugural – and February version. Top Right: I’ve been working hard on bee blocks. 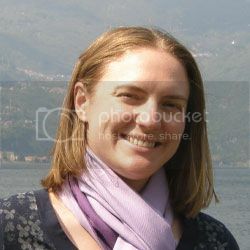 January was Heather from Quilts in the Queue in the Stash Bee. 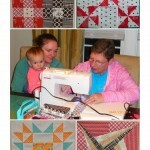 She asked for this yellow, red, or orange paper pieced block so she could add blocks and make a larger quilt. Bottom Middle and Right: I’m also part of the 4×5 Modern Bee this winter, and have 5 more blocks to make. 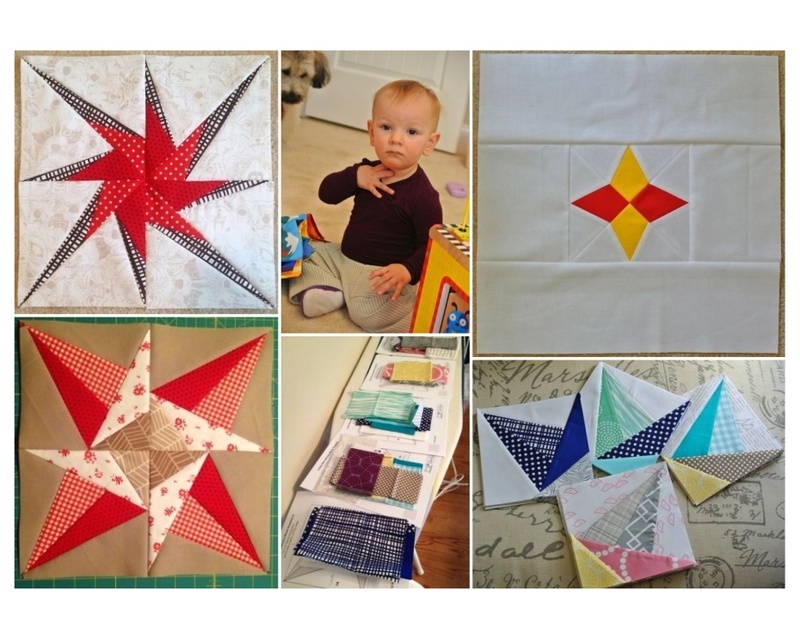 I am chain piecing a paper pieced star, so the middle picture shows the organizing step. The bottom right picture shows the in-process views of 4 of the 5 blocks. 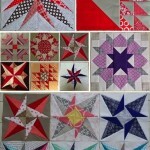 Top and Bottom Left: I’m also a year behind on the 2013 Lucky Stars Block of the Month. 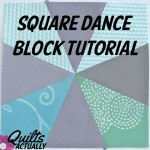 I completed the practice and January blocks. I’m hoping to finish two blocks a month on this project. The eventual goal is a queen sized sampler quilt. The blocks I am going to receive from the 4×5 Modern Bee will be combined with these blocks and a few others that I’ve been wanting to try. The goal is to finish this by the fall, but we’ll see how busy it gets here. Middle Top: I also participated in the Winter 2014 Kids Clothes Week, and made a pair of pants and a onesie for my daughter. The post about the pants can be found here, and the onesie at the bottom of this post here. I have a few parts to replace on my machine this weekend, then I should be back to doing some long arm quilting!